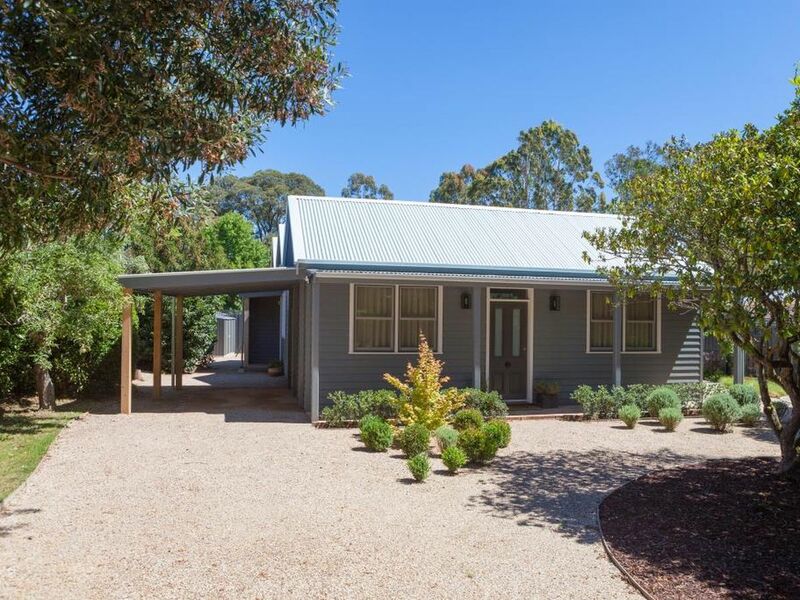 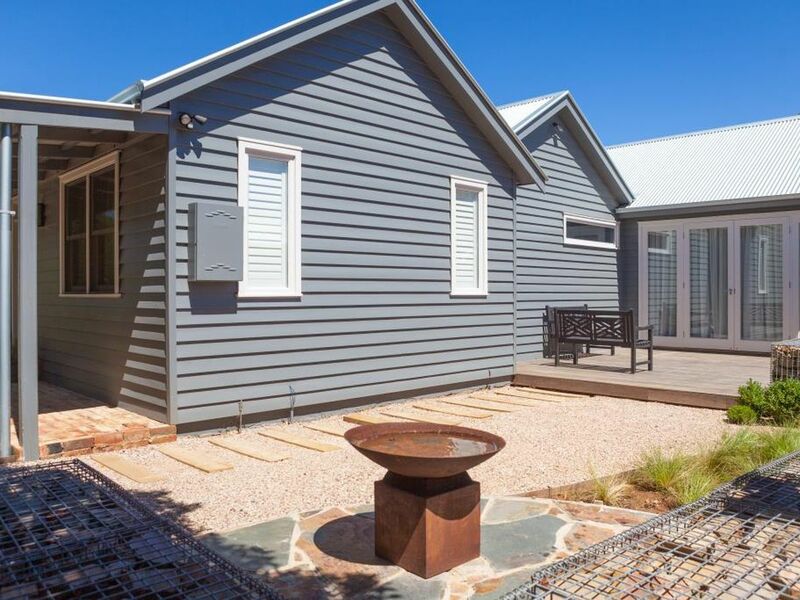 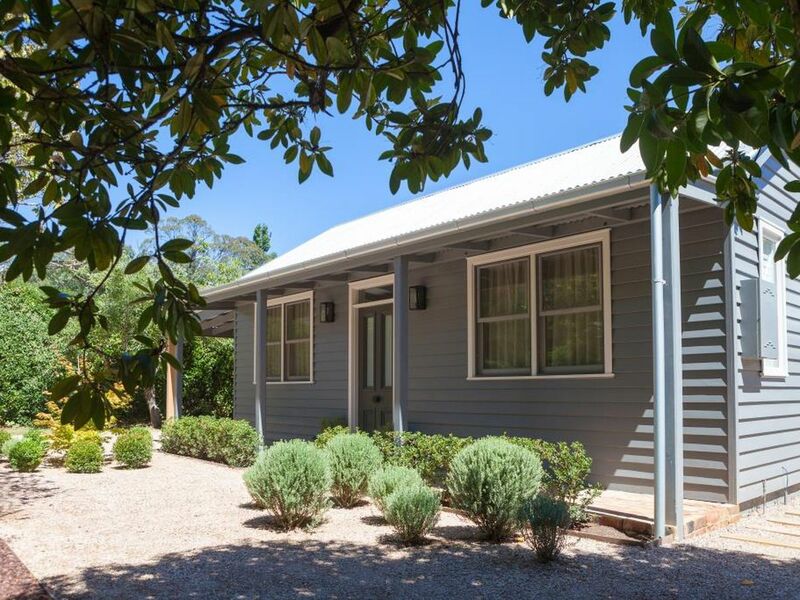 Sitting discreetly in its mature garden is this new weatherboard home, built in the style of a Victorian miner's cottage, with a thoroughly up-to-date floorplan including every modern convenience, reflected in its 7 star energy rating. 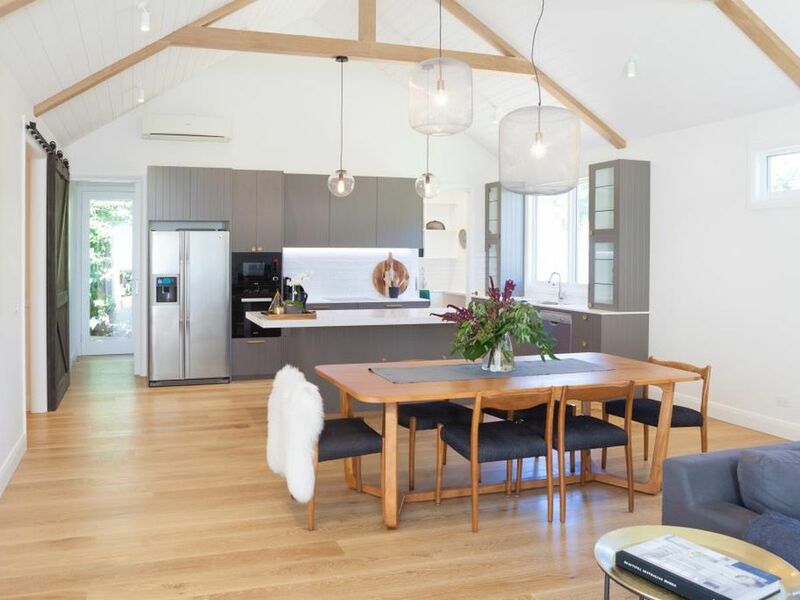 From the moment you arrive, the quality of build and finish is evident and continues throughout the property, which offers 2.7m ceilings, 2.4m doorways and reflects wonderful attention to detail, including underfloor heating in both bathrooms. 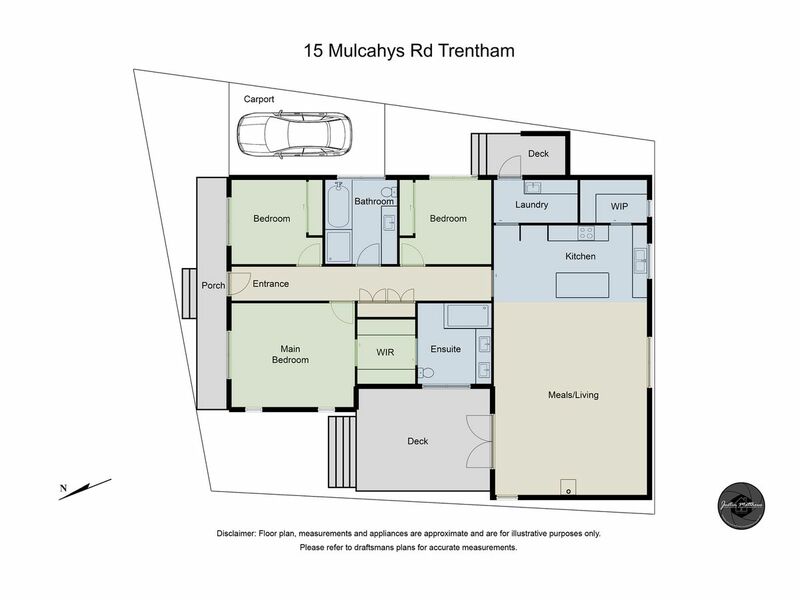 Designed with flexibility in mind, the floorplan offers three bedrooms, two of which have built in robes, and a master suite which is luxuriously large, has a fitted walk-through robe and tastefully modern ensuite. 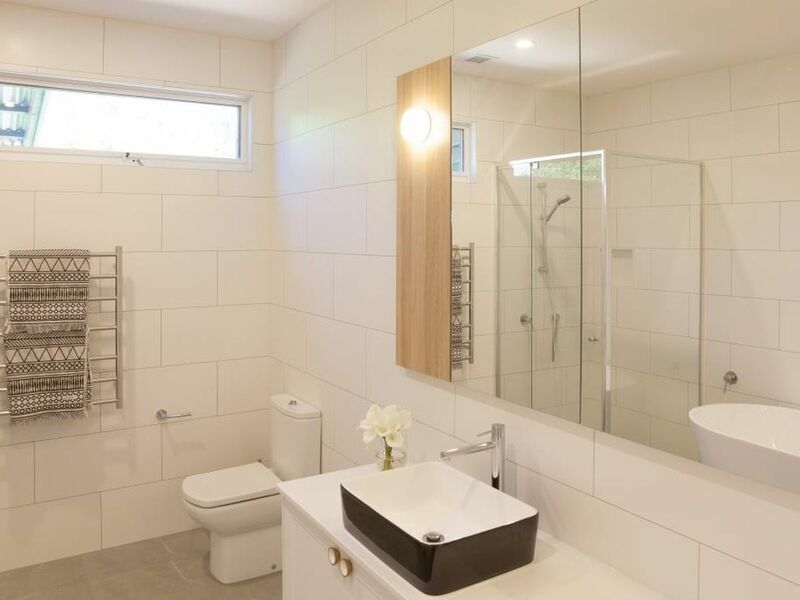 A second bathroom is generously sized and includes a freestanding bath, separate shower and marble feature tiling. 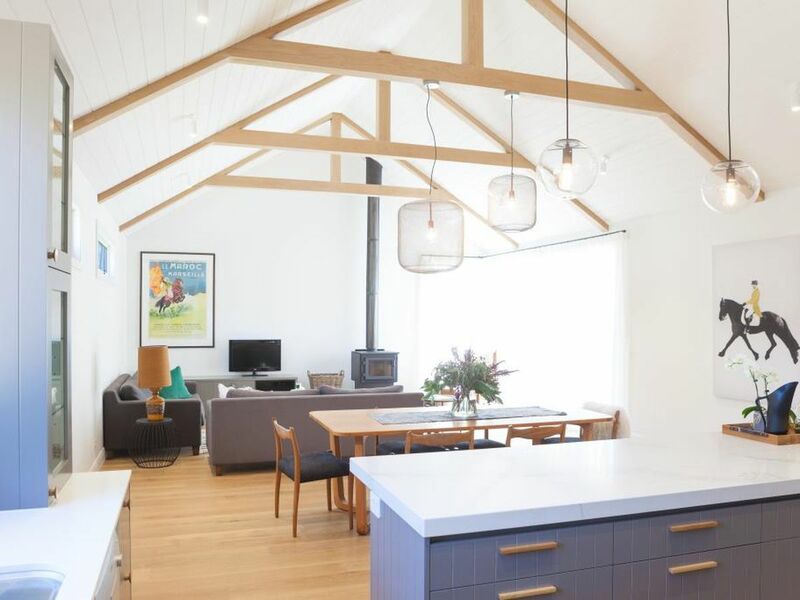 At the end of the wide hall, through a magnificent barn door of reclaimed timber, the home reveals its wow factor: an enormous open plan kitchen, dining and living space with beamed cathedral ceiling, oak floors, slow combustion wood burner and north facing bi-fold doors opening to a stunning, private outdoor entertaining space. 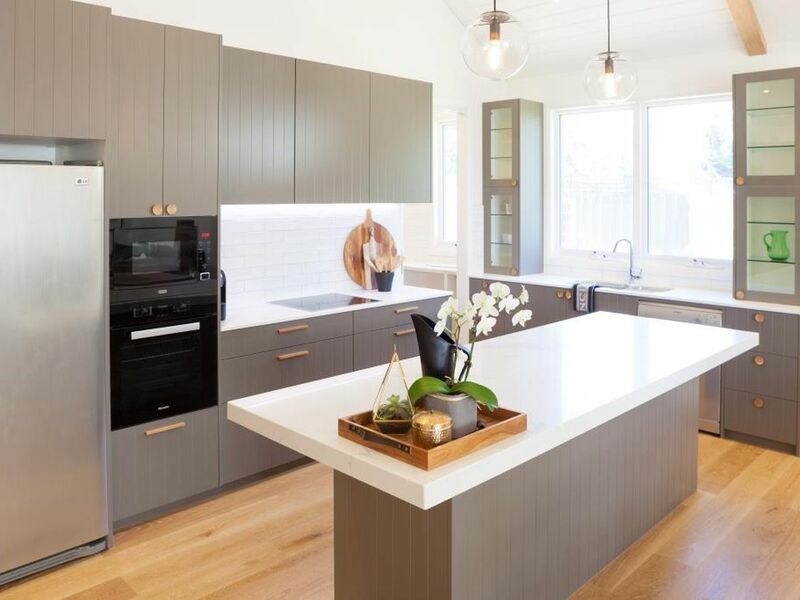 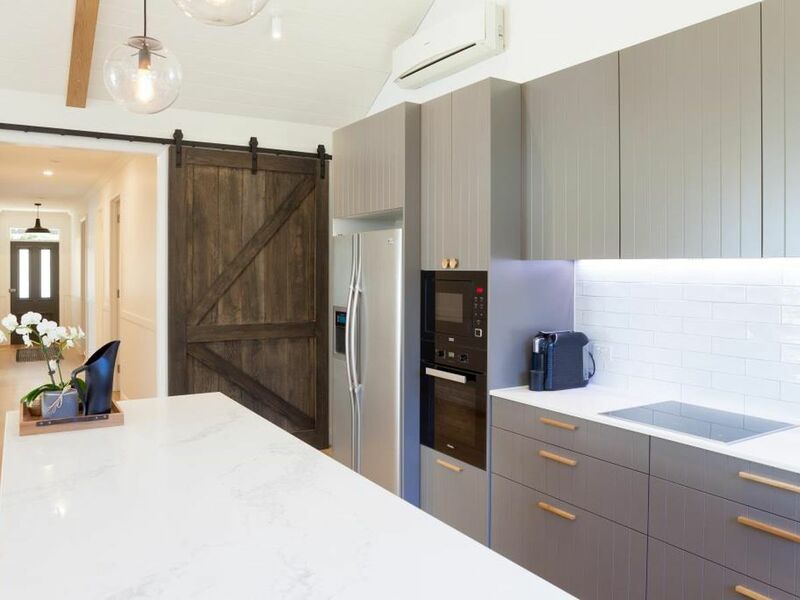 The kitchen is beautifully appointed with stone benchtops, Miele oven and cooktop, built in Franke microwave, Bosch dishwasher, soft close drawers and pendant lighting. 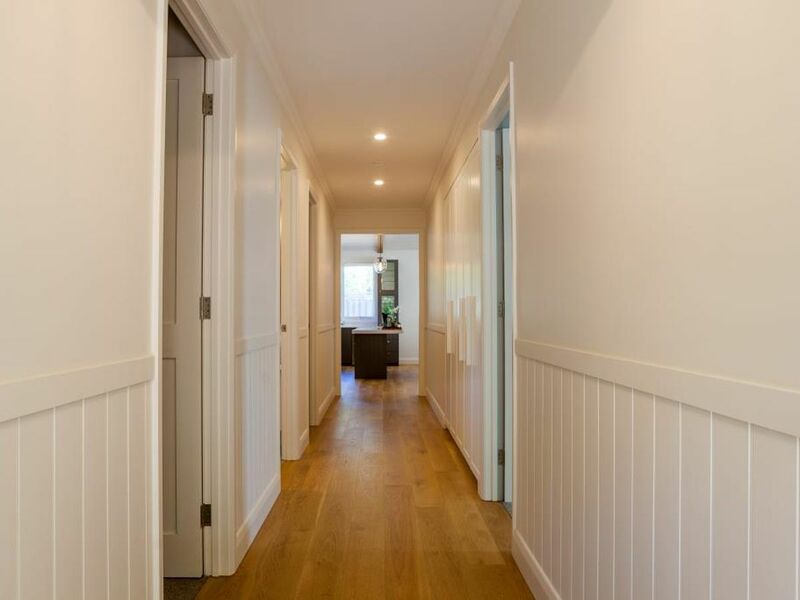 Tucked behind is a fully fitted laundry with direct outside access, which allows it to function also as a mudroom in the winter months. 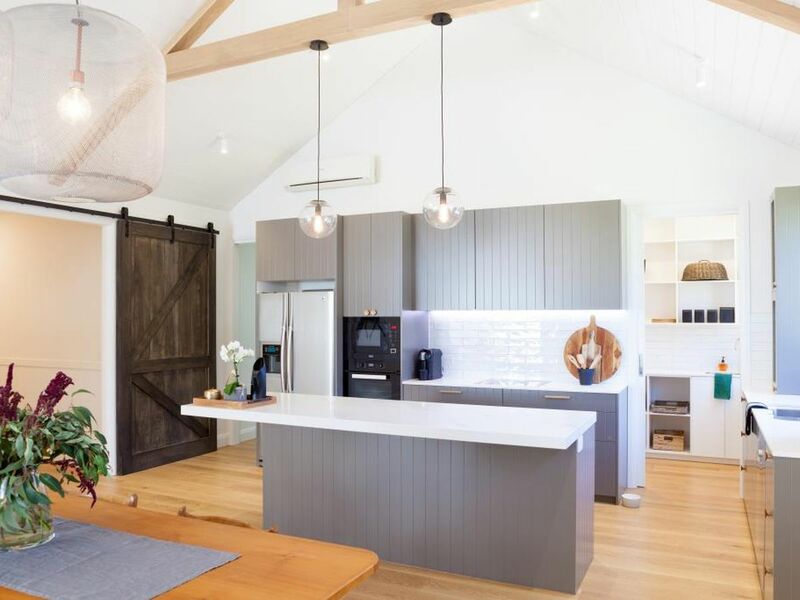 With the addition of a veggie garden, woodstore, garden shed, fire pit and gabion garden walls, everything has been thought of, to create this modern country dream home. 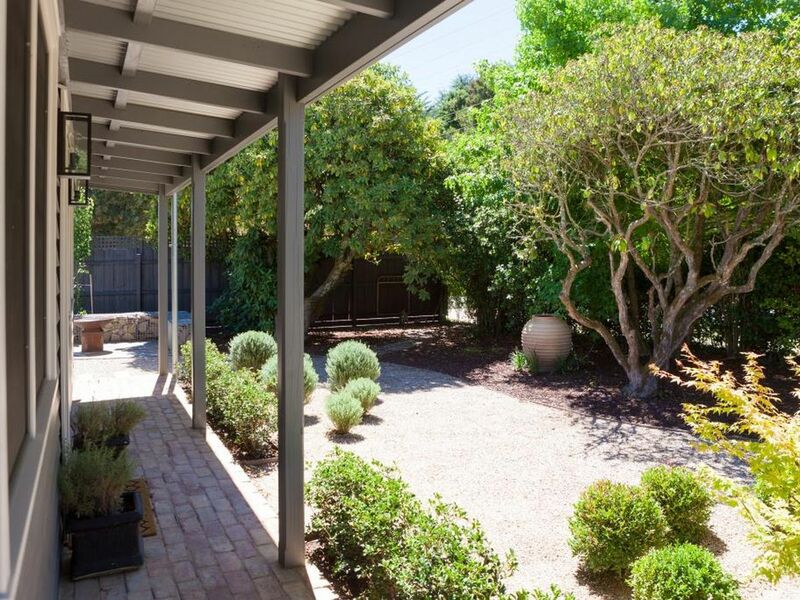 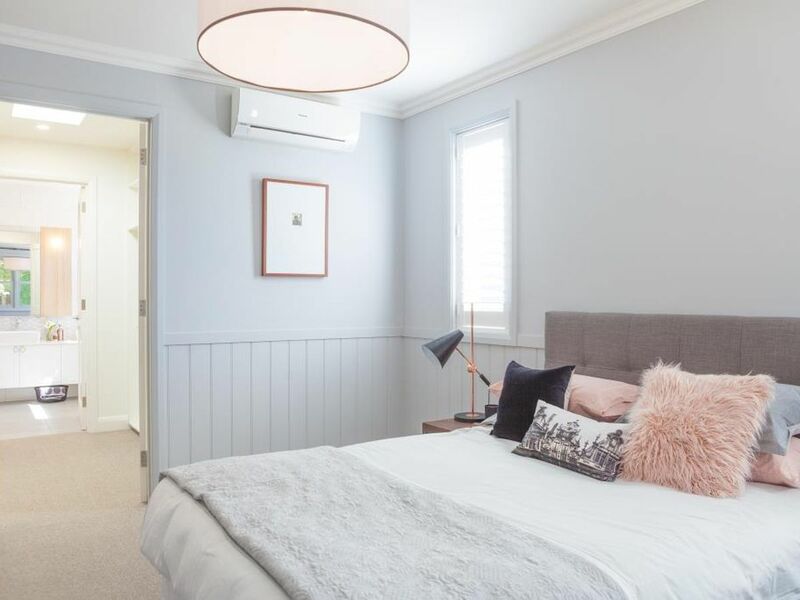 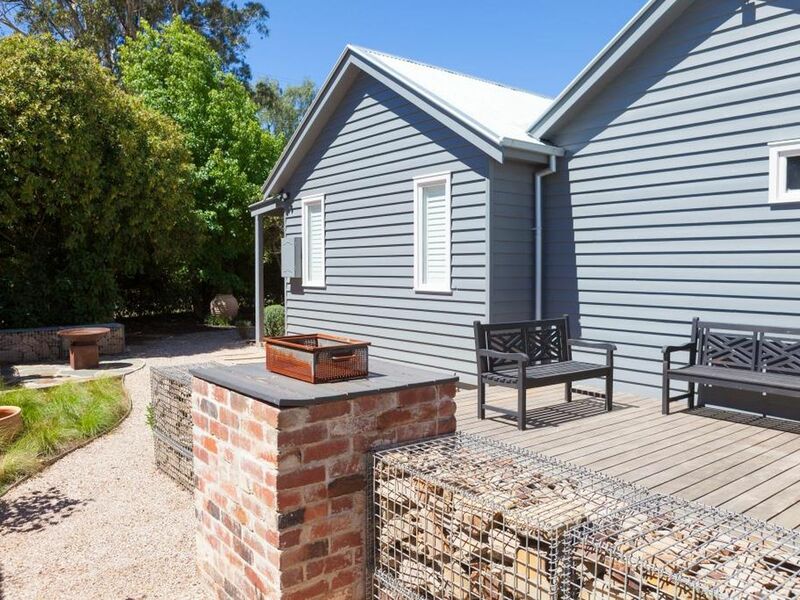 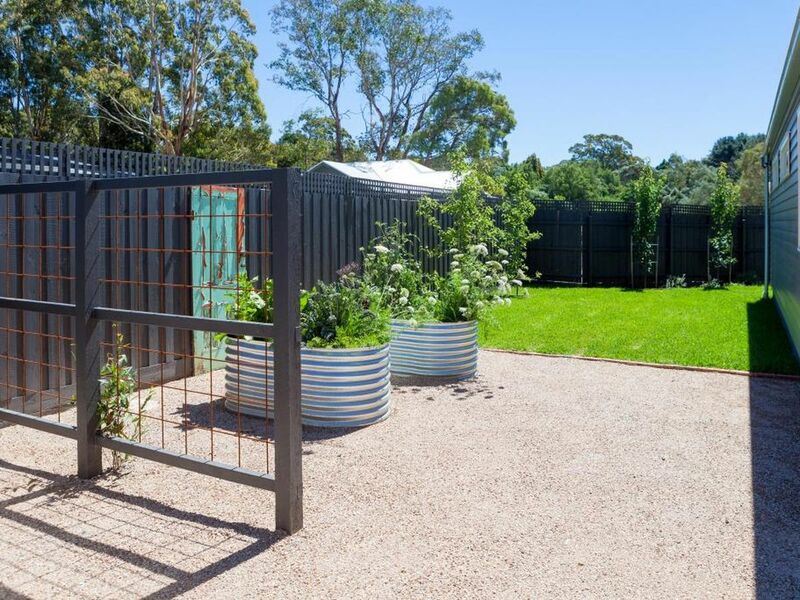 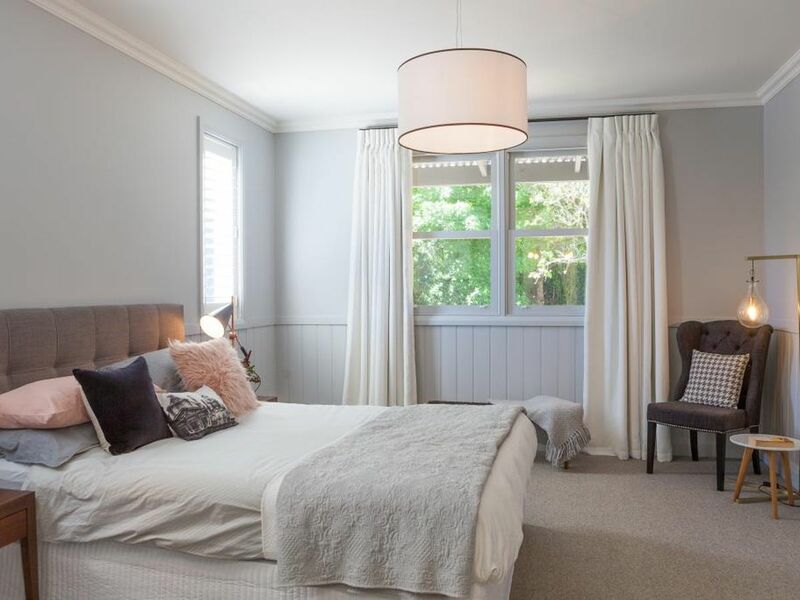 Located in arguably Trentham's finest residential street, just 700m from the Cosmopolitan Hotel, the property offers a perfect, low-maintenance lifestyle or weekend getaway, just an hour from Melbourne and 15 minutes from Kyneton, Woodend and Daylesford.